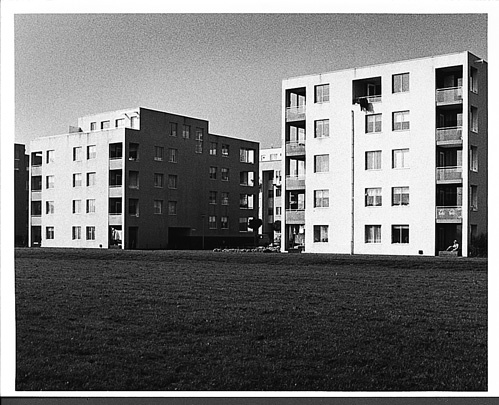 These housing blocks each contain eighteen one- to four-rooms dwellings. A central staircase affords access to storeys rising in half-levels and terminates in a communal roof terrace. Giving each pair of opposing facades the same colour serves to suggest that these urban villas were hewn from one elongated block.